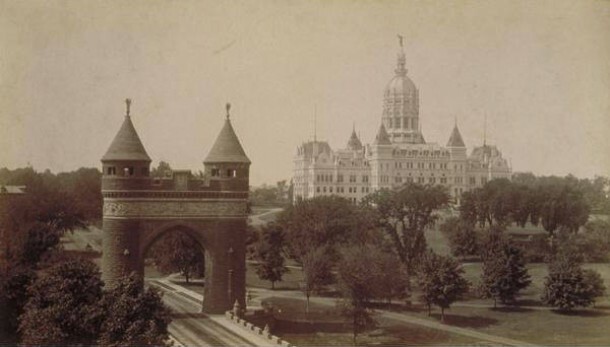 On September 17, 1886, the Soldiers and Sailors Memorial Arch was dedicated in Hartford to honor the 4,000 Hartford residents who served, and the nearly 400 who died, in the Civil War. 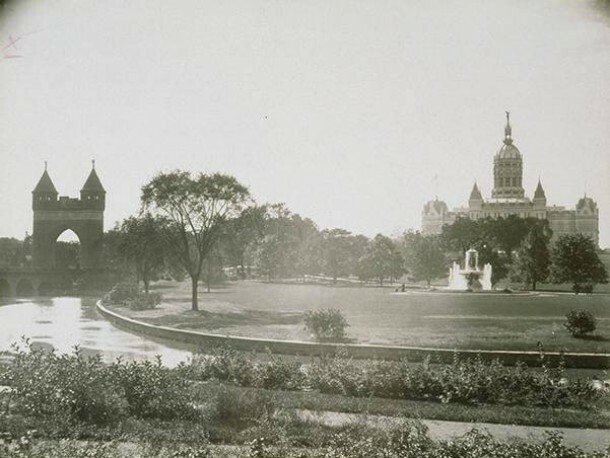 Designed by Hartford architect George Keller, the monument was the first permanent triumphal arch erected in the US. The Gothic Revival monument consists of two towers joined by a decorative frieze and is made from Portland brownstone. 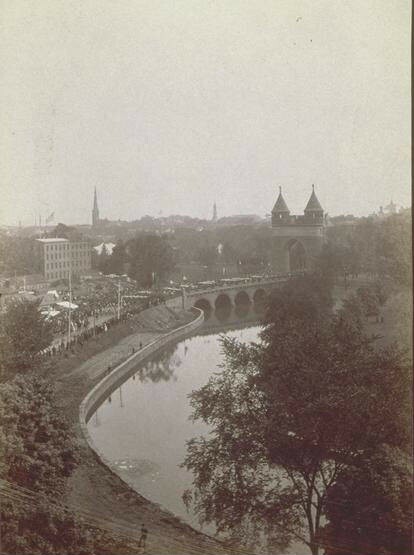 The Arch, located in Bushnell Park, marks the entrance to what was formerly the bridge that crossed Park River. The monument tells the story of Hartford’s role in the Civil War. The life-sized terra cotta frieze depicts scenes of war on the north side and scenes of peace on the south. On the south frieze, Hartford is represented by the figure of a woman at whose feet appears the Latin motto, post nubila phoebus: after the clouds, the sun. Midway up the monument and below the frieze, eight-foot-tall statues represent those from Hartford who served in the Union army: student, farmer, freed slave, carpenter, stone mason, and blacksmith. The Hartford icon, built for $60,000 from the city treasury funds in 1885, was restored to the tune of $1.5 million 100 years later. Included in the restoration was the replacement of the two terra cotta angels that were replicated in bronze and replaced on the top of each tower. In addition, a plaque honoring the 128 African Americans from Hartford who served for the Union was dedicated and placed under the statue of the freed slave. When George Keller died in 1935 at the age of 93, his family had his remains cremated and interred behind a plaque in the interior of the east tower. His wife Mary’s ashes are there as well.